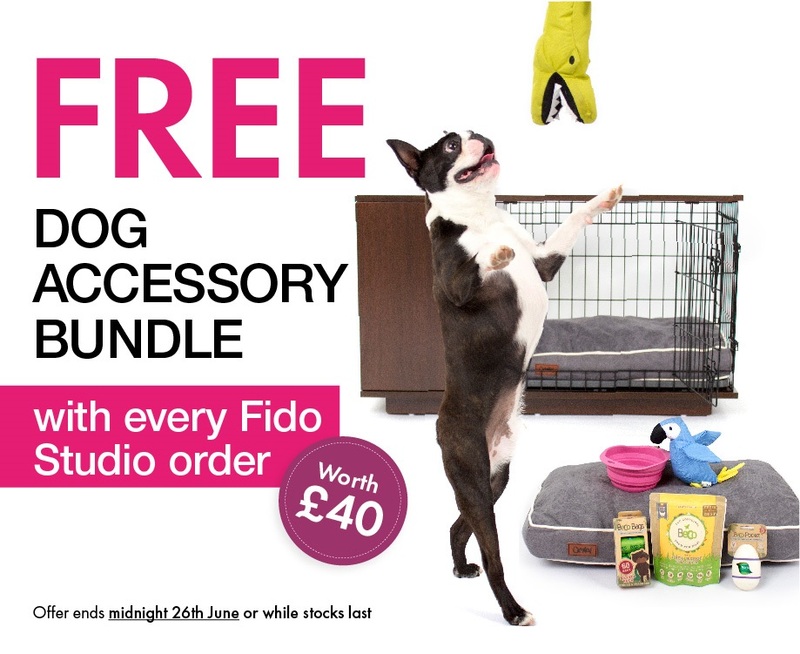 FREE Beco Dog Accessory Bundle worth over £40 with every Fido Studio order! We are giving away a pawsome dog accessory bundle worth over £40 to everyone that orders a Fido Studio dog crate within the next 7 days! and we’ll also include a free sample of Beco’s delicious and super healthy dog food. But hurry, the free bundle is only available until midnight on Monday 26th June 2017 or while stocks last. We have partnered with Beco Pets who are one of Britain’s biggest manufacture and designers of eco-friendly pet products and now stock many of their fantastic products on our website that we are sure your four legged friends will love! Order today and claim your FREE Beco Bundle!! Free Beco Bundle is only valid with orders of the Fido 24 or Fido 36 Dog Crate. Items in the free bundle are subject to change. The offer is only valid from 19/06/2017 – midnight of 26/06/17. Subject to availability. Omlet ltd. reserves the right to withdraw the offer at any point.